Dark meets light to create stark contrast and harmony. 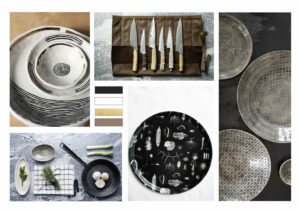 Simplicity is accented with metallics to add a little sophistication and glamour. Colour-blocking and patterns merge to create a modern tribal design sentiment. 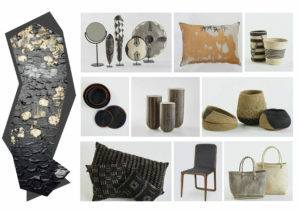 Natural hues and textures are key as they help bring balance and help ground the obvious contrasts. 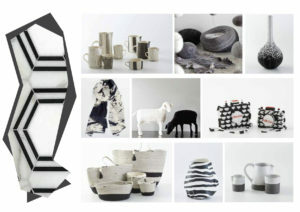 MOOD: Neutrals, charcoal, contrast, metallic, tribal, stark white, organic shapes, structure.